5086 aluminum strip has high strength capacity than 5052 and 5083 aluminum strip , but it is not strengthened by heat treatment, instead becoming stronger due to strain hardening or cold mechanical working of the material.3.0%-4.5% of magnesium is added to 5086 aluminum strip , which enable it to have high strength. Heat treatment does not strongly affect the strength, so 5086 aluminum strip can be readily welded and retain most of its mechanical strength. 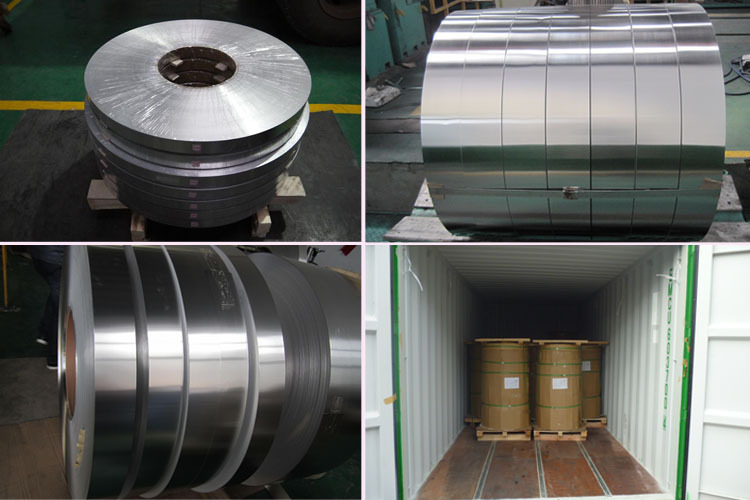 5086 aluminum strip mainly has four tempers that are vastly used, including 5086-H, 5086-H32, 5086-H112 as well as 5086-H116. 5086 aluminum strip also has good forming characteristic for either hot or cold working. But hardening is accomplished by means of cold working only. Besides, 5083 aluminum strip does have good strength but non-heat treatable. 5083 aluminum strip has vast applications for its properties above. It is commonly used in the manufacture of marine, auto aircraft cryogenics, storage tank, railway cars, coachwork, armor plate, building construction, pressure vessels, etc. 5086 Aluminum strip products of haomei . meet the export standard. Plastic film and brown paper can be covered at customers’ need. What’s more, wooden case or wooden pallet is adopted to protect products from damage during the delivery. There are two kinds of packaging, which is eye to wall or eye to sky. Customers can choose either of them for their convenience. Generally speaking, there are 2 tons in one package, and loading 18-22 tons in 1×20′ container, and 20-24 tons in 1×40′ container.